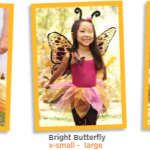 You are here: Home / online shopping / Gymboree’s Labor Day Sale: save an extra 40% on sale items! The Labor Day sale has started early at Gymboree! You can save an extra 40% on sale items and score some great deals! When my kids were younger, I would take advantage of sales like this one to shop ahead for the next year! 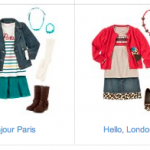 If you’ve procrastinated on back to school shopping, you can score some great deals, too! There are several long-sleeved shirts that are part of the sale! The discount is reflected automatically at check-out! You’ll earn a $25 Gymbuck for every $50 you spend! You can also still shop the Back to School sale and save 30% on regular-priced items! This includes Halloween costumes! They’ve got everything you need to send your kids back to school in style including outfits, shoes, and hair accessories! They’ve got coordinating backpacks and lunch boxes, too! 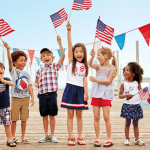 Gymboree Labor Day Sale: everything is 40% off! 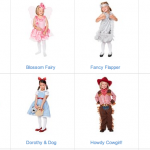 Gymboree FLASH sale: save BIG on Halloween costumes!